Jesus tells the parable of a good shepherd and a little lost sheep. The shepherd has a hundred sheep, and ninety-nine are doing fine. They are right where they are supposed to be. Perhaps they have strayed before — perhaps many times — but now they are safe and sound. Yet there is this one little sheep that is out on its own and lost. The shepherd has a 99% success rate, but that is not good enough for him. He will not be satisfied unless all of his sheep are safely in. So he goes after that little lost sheep “until he finds it.” It is the word “until” that particularly captures me here. It means that the shepherd is not going to quit; he is going to keep searching until he finds that sheep. The end of the story is that all will be safely home — and there will be great rejoicing. This parable tells us something about God and his kingdom, as all of Jesus’ parables do. 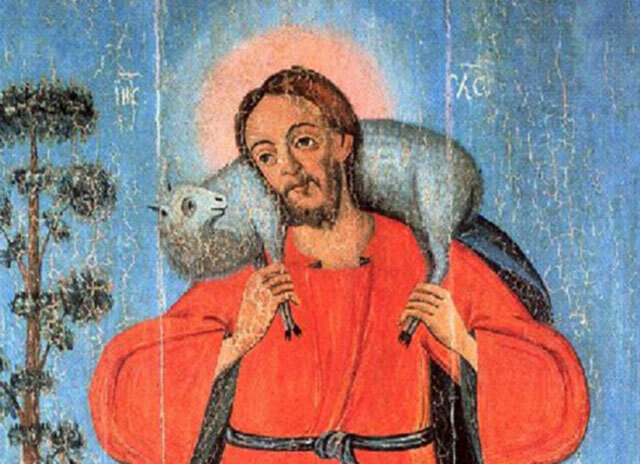 God is often portrayed in the Scriptures as a shepherd. Psalm 23, also known as the Shepherd Psalm, begins, “The LORD is my shepherd, I lack nothing.” And in Isaiah 40:11, “He tends his flock like a shepherd: He gathers the lambs in his arms and carries them close to his heart; he gently leads those that have young.” In the New Testament, Jesus identifies himself not just as a shepherd but as the Good Shepherd: “I am the good shepherd. The good shepherd lays down his life for the sheep” (John 10:11). So what kind of shepherd is God? Is he like the one in Jesus’ parable? Does God practice what Jesus preached? Jesus is the Good Shepherd. Is he endlessly determined like the one in his parable? Will he be satisfied with even one sheep still lost? Or will he go out after all the lost ones until he finds them and brings them home? I believe it is the latter, or else I should have to think that he is not as good a shepherd as he preaches about. “We all, like sheep, have gone astray, each of us has turned to our own way,” says the prophet (Isaiah 53:6). But Jesus is the Good Shepherd who never gives up on us but finds us and leads us home. And there will be great rejoicing.